Whip up some quinoa oatmeal for breakfast — a protein-rich “cereal” with warmth and flavor. 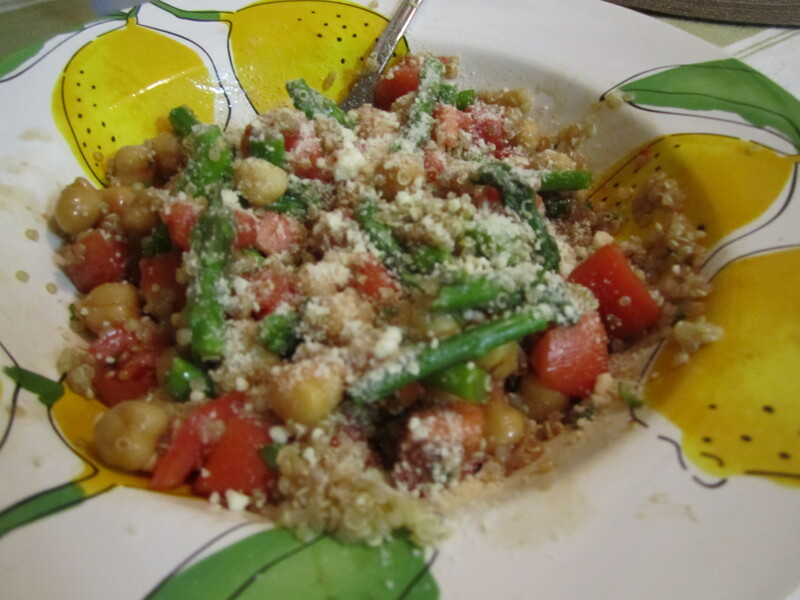 Replace the bulgur usually found in tabbouleh with quinoa. The earthiness of quinoa’s flavor pairs nicely with the tomatoes, parsley, lemon and other tabbouleh flavors. Try cooked quinoa as a replacement for breadcrumbs in a recipe for turkey meatloaf, like this one from Food.com. The dense, protein-rich loaf will keep you full for hours. Great for a leftover lunch on a long work day. Image sourced from tastespotting.com. Quinoa tacos! Whoda thunkit? Mix sauteed onions & peppers, black beans, and quinoa, top with avocado, sour cream, lime juice and shredded cheese, and voila! 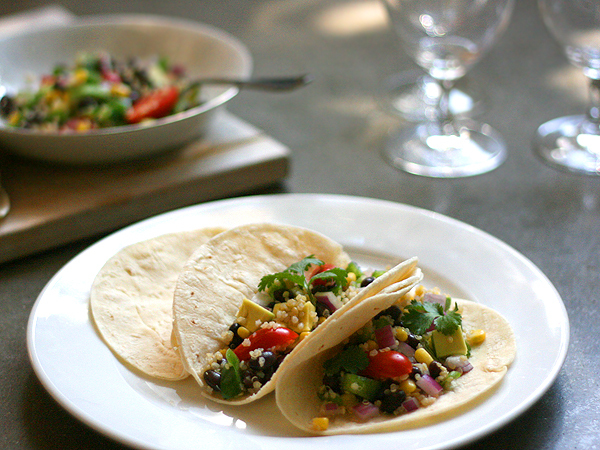 You have a delicious vegetarian taco filling to serve over tortillas. Nom nom nom! 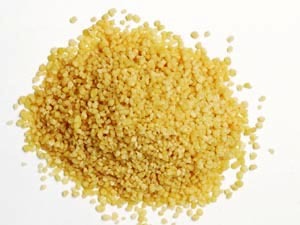 Couscous: A workhorse that cooks in almost no time at all, couscous is delicious when prepared with chicken broth instead of water. Use it as a base for a sauteed and seasoned (S&P + chili powder + cumin) mixture of sweet potatoes, red peppers & black beans. It’s also excellent as a base for stir-fry, or — surprisingly — in salads, like this Summer Garden salad from the wise folks at Taste of Home. 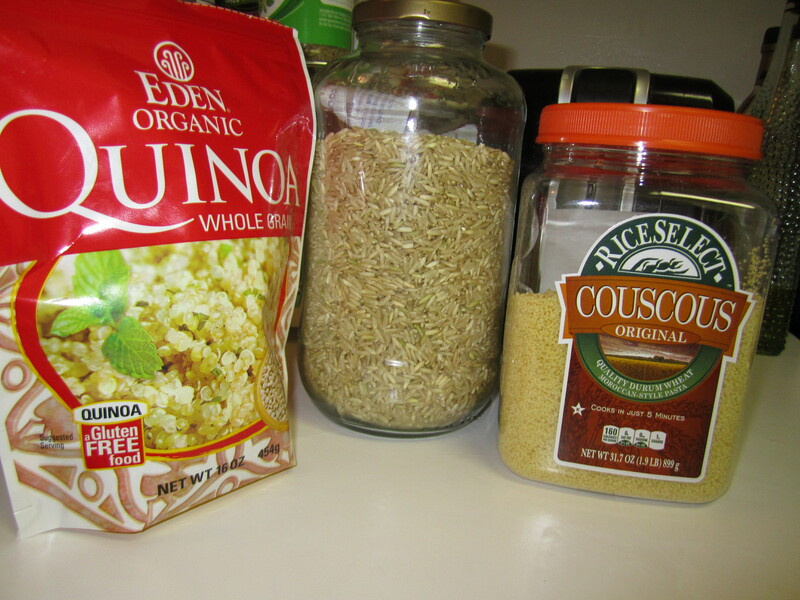 Brown Rice: I recently used brown rice — a great base for almost any meal, from soups to stir-fry — as a binding ingredient in homemade Black Bean Burgers. Combine mashed black beans, brown rice, a tbsp of mayo, and spices / herbs to your liking. Mash into a patty, grill over medium heat, and serve on a bun! Brown rice can even show up in pancakes, like this recipe from Simply Cooked. 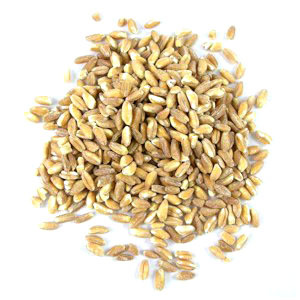 Farro is another ancient grain with a rich history and even richer flavor. Try farro in dishes like Farro & Butternut Squash from 100 Cookbooks; Giada DeLaurentiis’ Farro Salad with Tomatoes; or even in a risotto. 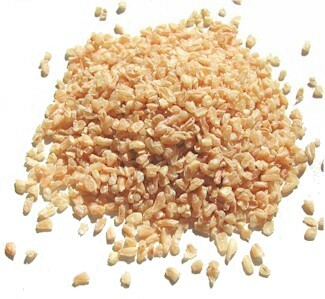 Bulgur: The original basis for a classic tabbouleh, bulgur’s uses are as limited as your imagination. Try this quick-cooking grain in dishes like Ellie Krieger’s Herbed Bulgur-Lentil Pilaf. Nom nom nom! 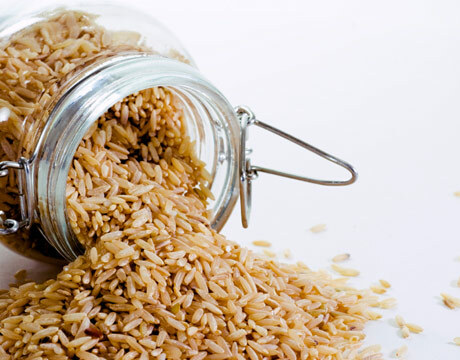 What are your favorite grains? Are you big fans of basmati rice? How about jamming with jasmine rice? Minnesota wild rice-lovers out there? What else do you use to stock your pantry with grainy goodness? I recently ventured into the quinoa hole. I use it 50/50 with basmati rice as a healthier base for stir-frys they have similar cook times and water needs). I also made a quinoa mexican rice last night… Cooked in veggie broth with salsa and corn. Yum! Mmm! Hadn’t thought of the veggie broth — great idea! That mexican rice would be so good with some vegetarian tacos .. 🙂 As always, thanks for the awesome ideas!